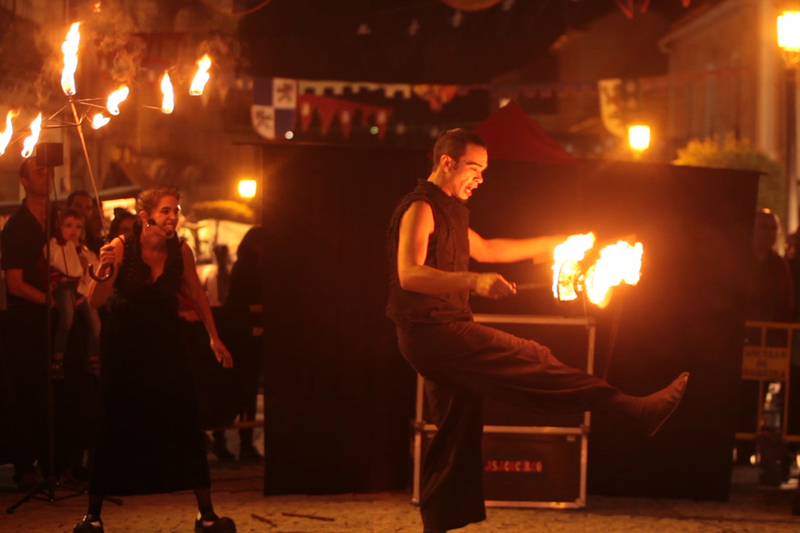 A show of pure action, which seeks to maintain 100% of the attention and impress the audience. 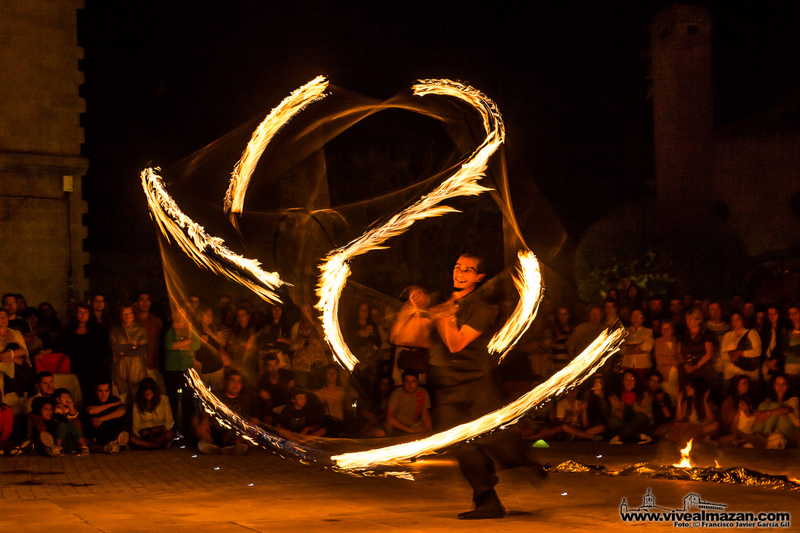 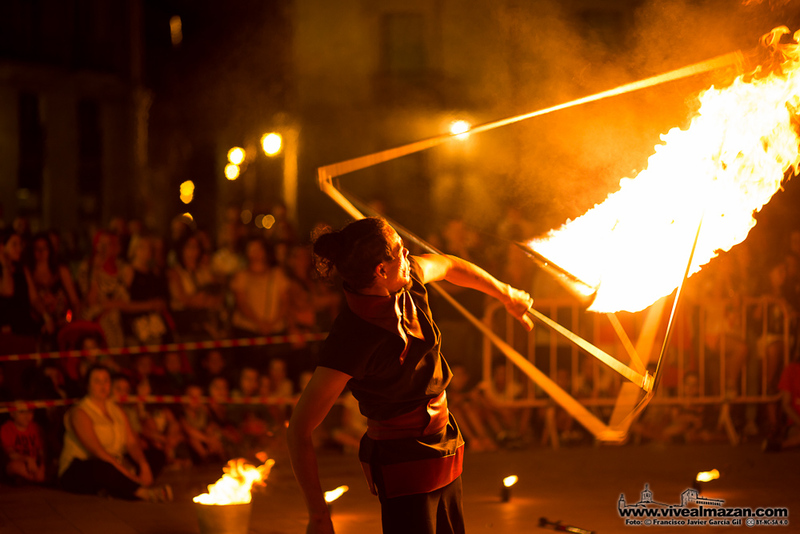 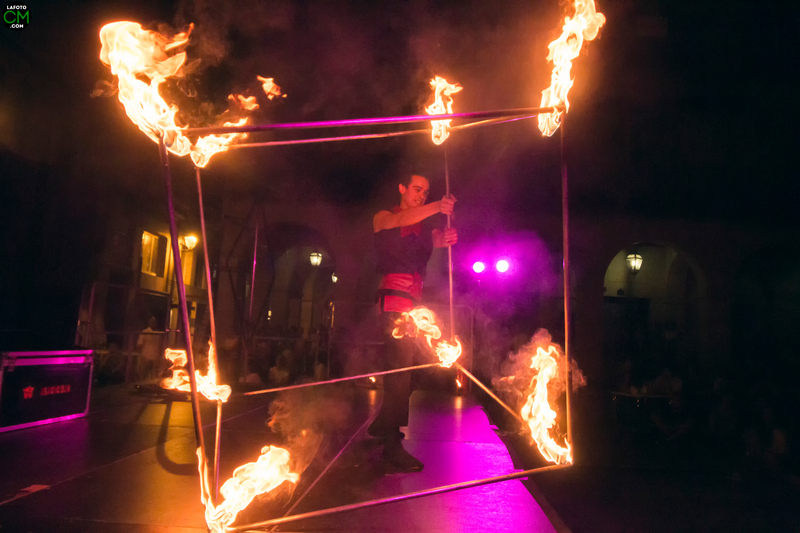 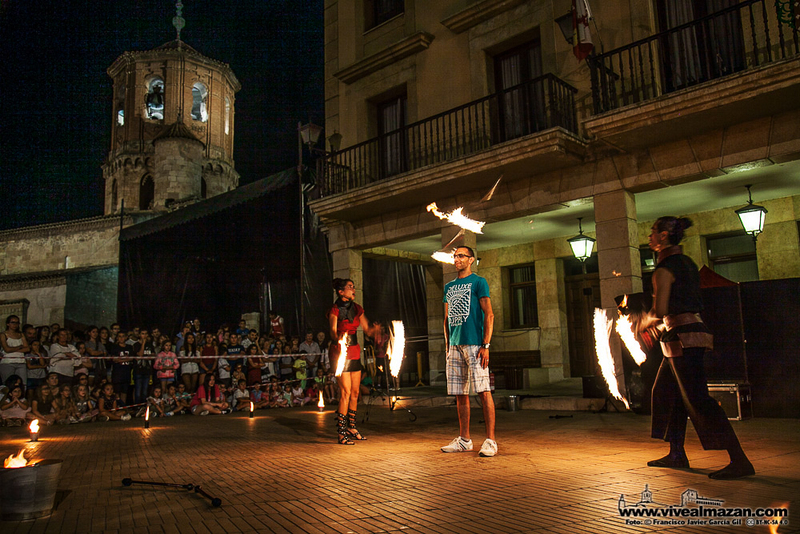 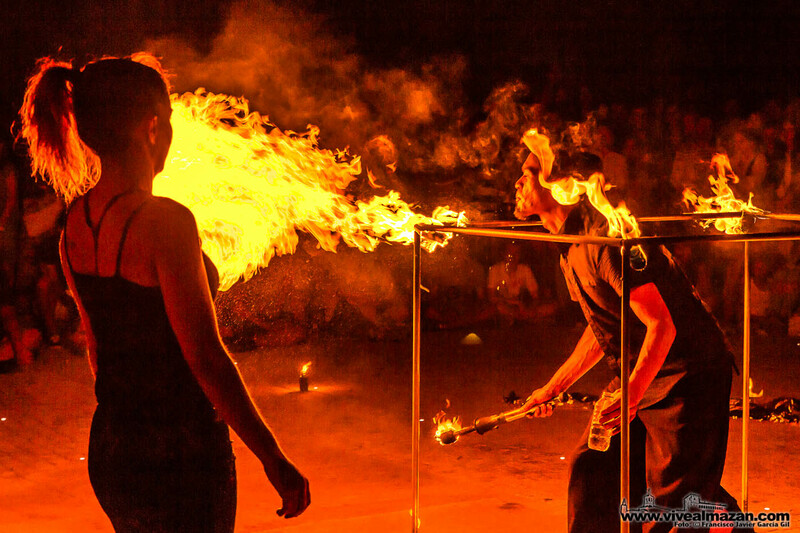 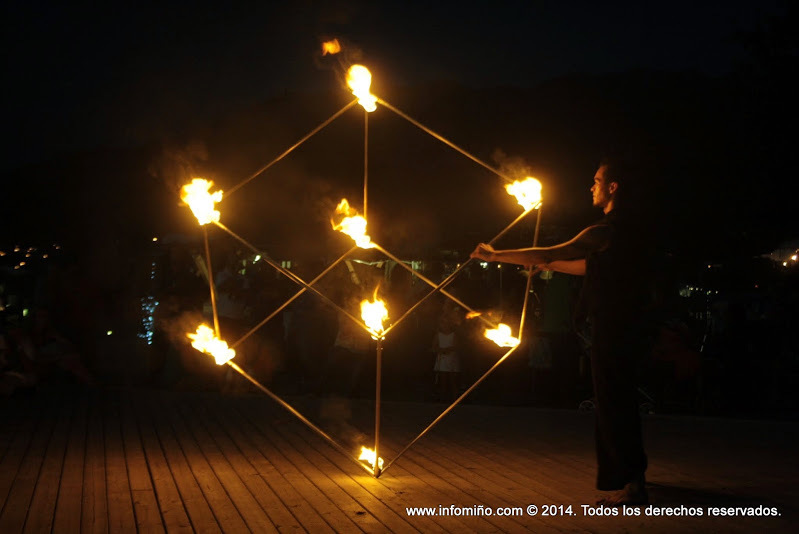 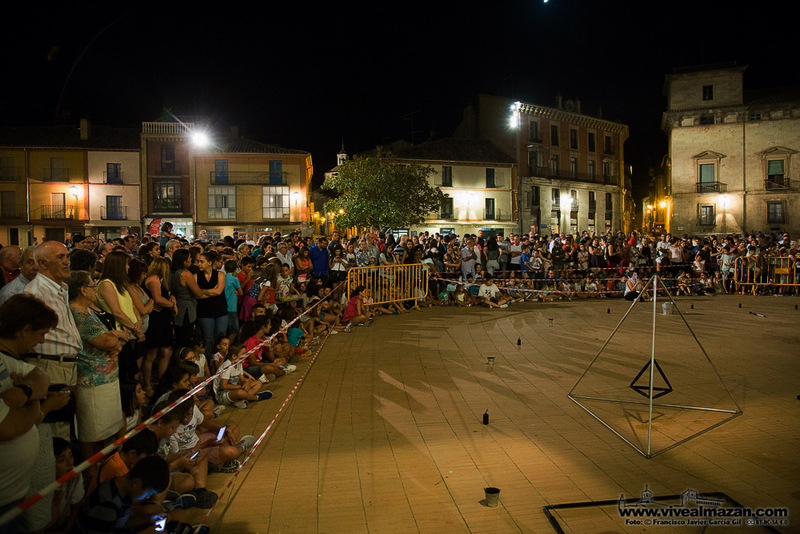 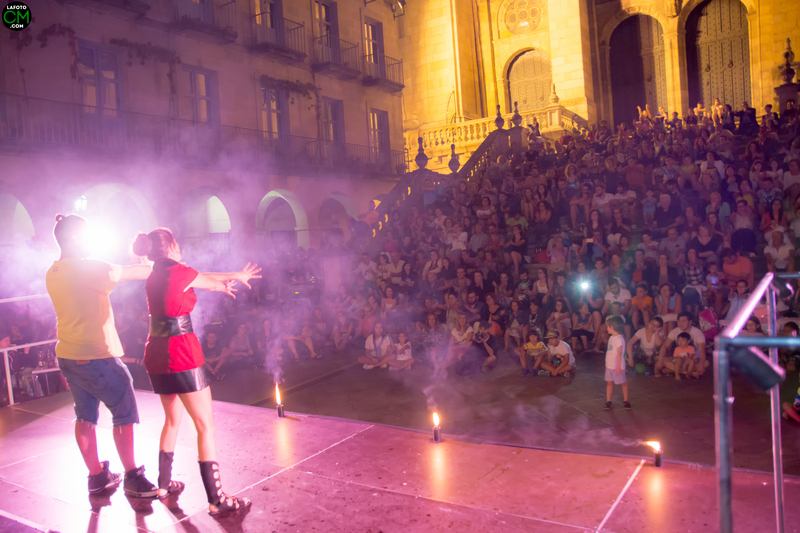 “Circus of Fire” is a show for all audiences, ideal for night presentations. 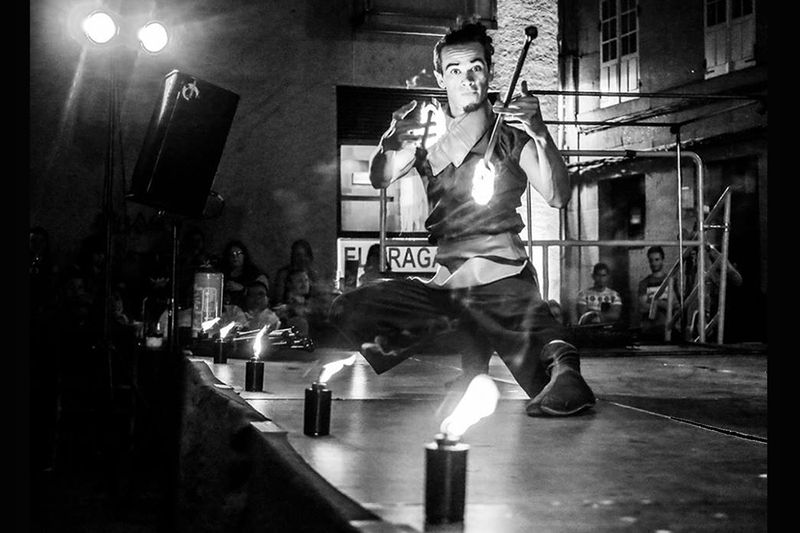 It consists of exciting numbers that mix dance techniques with juggling, manipulation, pirofagia, humor and direct contact with the audience. 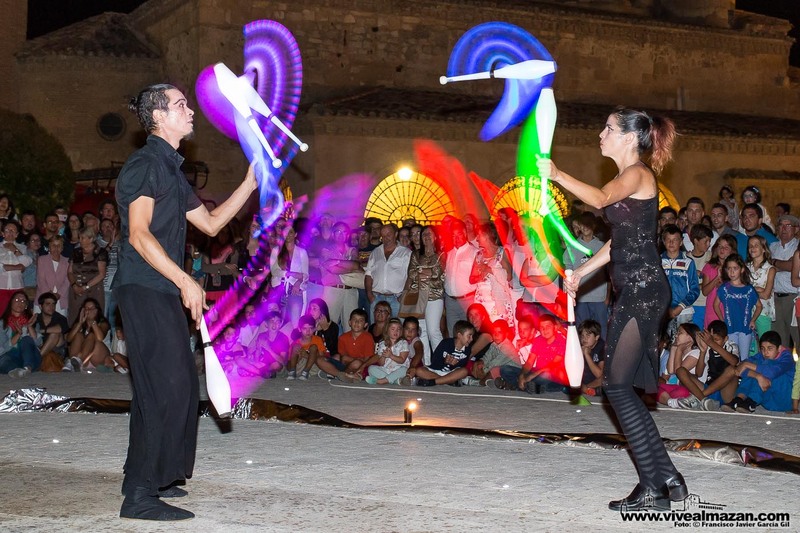 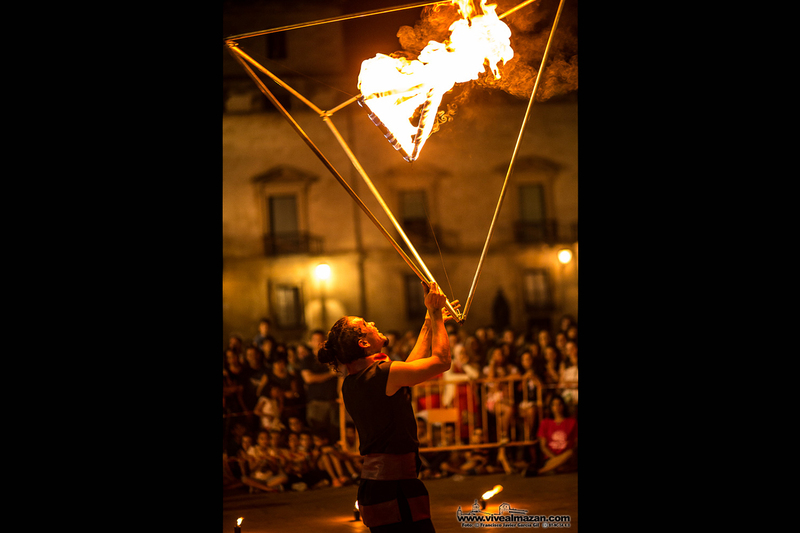 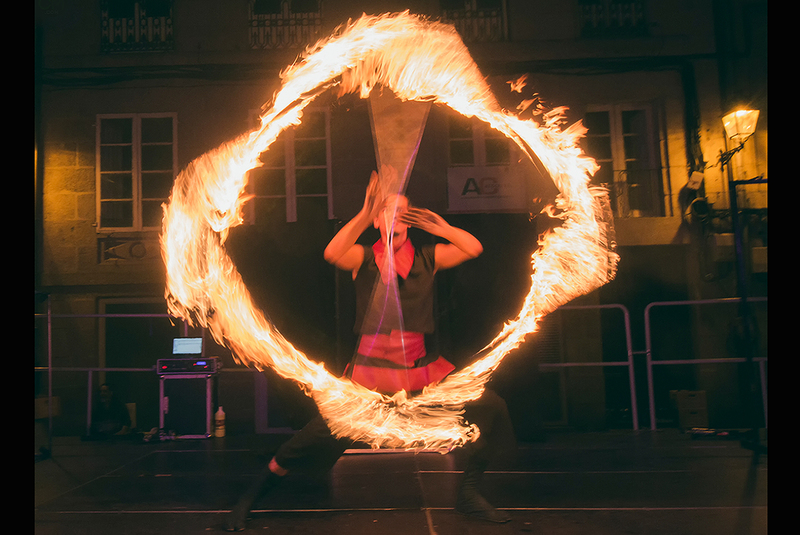 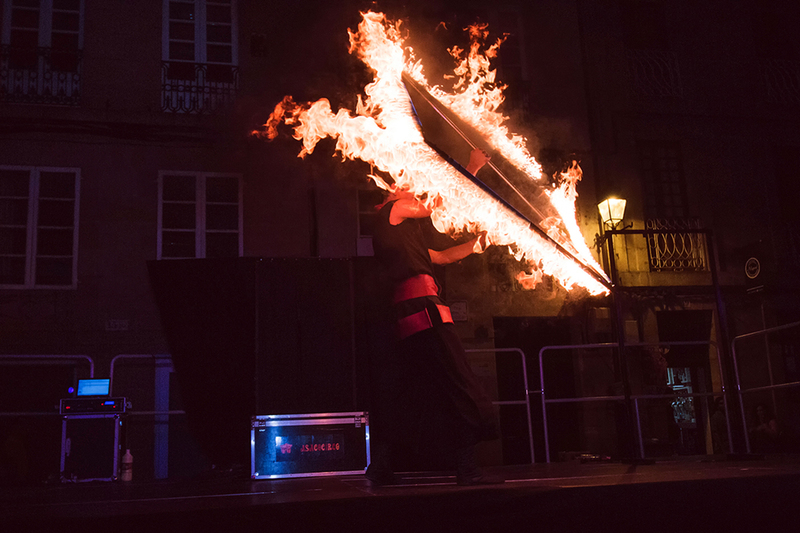 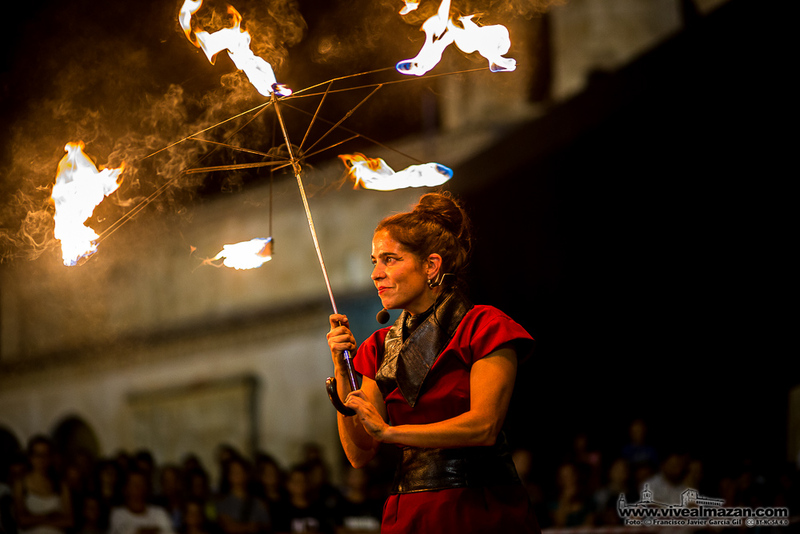 Played by Joao Alvim and Miriam Crespo, jugglers with over 13 years of training, they perform this dangerous show very safely, yet full of stunning visual effects, dignifying the motives of the acts with fire. 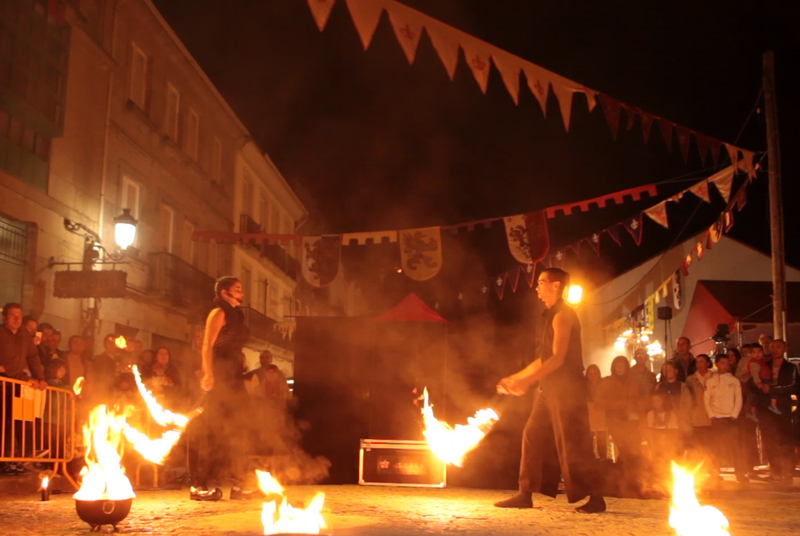 Language: Galician, Castilian, Portuguese and english. 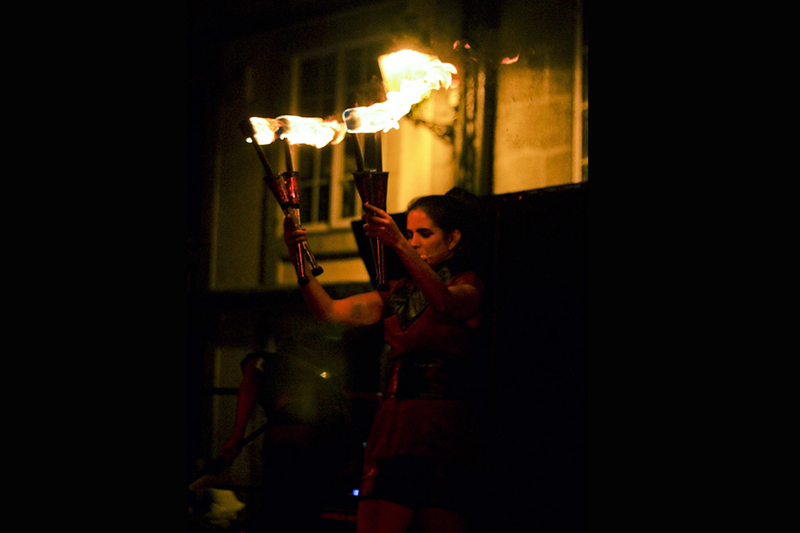 Own sound equipment: 3-channel 300w amplifier (power outlets required). 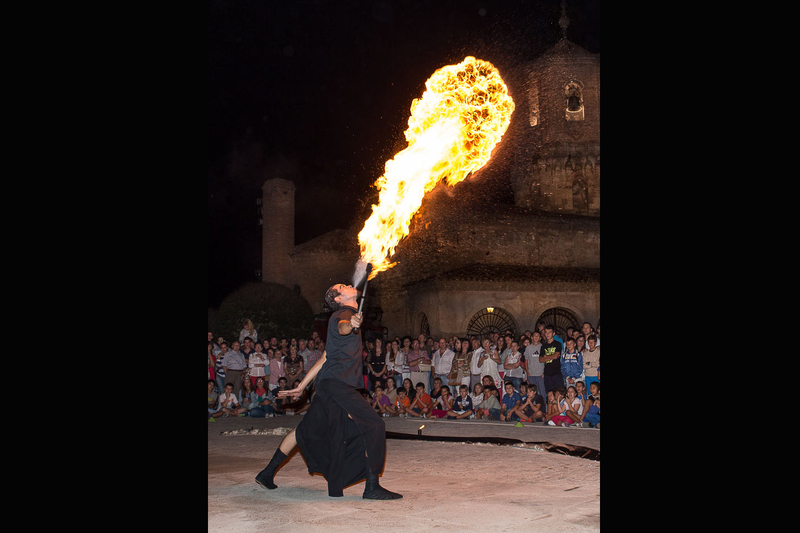 Diadema wireless microphone, and a handheld microphone.